The STEM instructional/curricular model has an increased emphasis on science and math and includes greater use of technology in the classrooms to inspire interest in STEM vocations. Through this instructional model, students will explore design concepts, develop adaptability, and learn how to embrace life’s greatest questions and challenges through creative solutions. 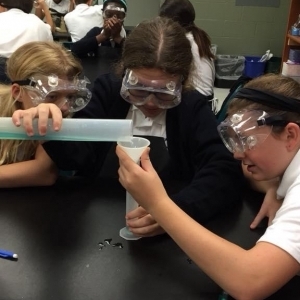 STEM programs are found throughout many of our Catholic elementary and high schools. In elementary STEM classrooms, students are actively engaged in questioning and hands-on activities while they investigate global issues, and solve real world problems, and/or challenges. Teachers facilitate student engagement, arouse student’s questioning, guide students through the problem-solving process, and plan student projects that center on student’s interest. As early as kindergarten, their learn to: ask and answer questions about real-life topics that affect their lives and the lives of others around them, solve problems, and explore STEM-related careers by learning and role-playing what scientists, technologists, technicians, engineers and mathematicians do in their career field. Students should have been introduced to STEM Standards of Practice that will engage them in scientific process, Technology Literacy Standards for Students, engineering design processes, and mathematics content and practices. 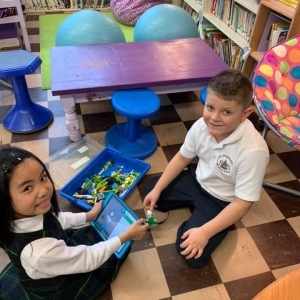 As students mature in age, first and second grade students begin to apply, with some assistance from the teacher, science, technology, engineering, and mathematics content while engaging in activities that focus on real-world questions, issues, problems or challenges. 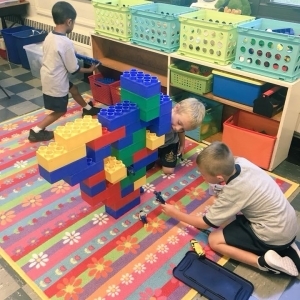 Students begin to independently explore real-world problems, apply the process of problem solving, scientific process, engineering design process, and Standards for mathematical Practices, integrate STEM Standards of Practice, form STEM teams, and work cooperatively and collaboratively in groups. 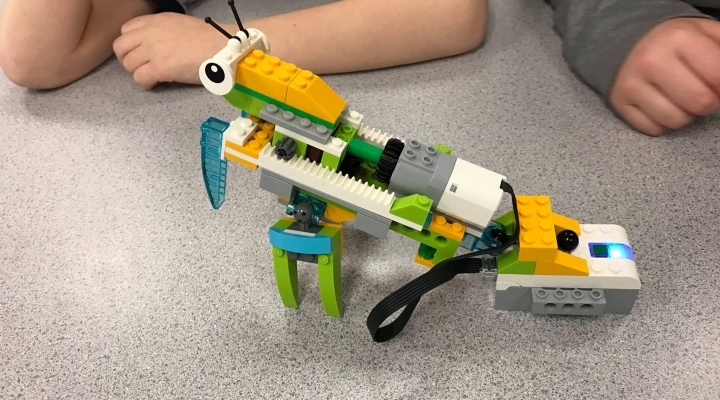 By the end of fourth grade, students will be able to: design projects that are innovative and creative, analyze complex issues, solve complex problems and/or challenges, and independently apply STEM Standards of Practice into STEM activities. Students role play STEM professionals while engaged in STEM teams, incorporate engineering design process, science practices and Standards for Mathematical Practices into STEM activities, and logical reasoning when addressing or solving STEM related issues, problems, and/or challenges. Third through Fifth, students will be able to independently demonstrate grade appropriate proficiency in all four STEM content areas, research various types of STEM subject matter experts in STEM fields, perform a STEM subject matter expert role when engaged in STEM teams, integrate other disciplines when engaging in a STEM lesson and/or project, and evaluate whether they have appropriately applied the STEM Standards of Practice while engaged in STEM activities. Student should also be able to independently demonstrate the science practices and Standards for Mathematical Practices, all K - 5 Maryland Technology Literacy Standards for Students, engineering design process, and inquiry-base, problem-base and project-base learning processes. Students will be able to independently demonstrate grade appropriate proficiency in all four STEM content areas, research various types of STEM subject matter experts in STEM fields, perform a STEM subject matter expert role when engaged in STEM teams, integrate other disciplines when engaging in a STEM lesson and/or project, and evaluate whether they have appropriately applied the STEM Standards of Practice while engaged in STEM activities. Student should also be able to independently demonstrate the science practices and Standards for Mathematical Practices, all Maryland Technology Literacy Standards for Students, engineering design process, and inquiry-base, problem-base and project-base learning processes. Grades 7th and 8th have weekly group and independent STEM challenge competitions. Content standards and related digital curriculum resources that are aligned with and support digital age learning and work, to include but not limited to technology and media services (former library studies). Technology is best able to enhance learning when educators use it intentionally within the adopted curriculum. As part of any system wide initiative, a curriculum framework is needed to pair defined content standards with digital curriculum resources that are aligned to the content learning goals. To learn the right skills at the right times for the right reasons. Technology is all too often applied as an add-on to existing curriculum. To maximize its potential benefits — such as the development of higher-order thinking skills — educators must weave it into the curriculum in such a way that the tool matches the desired learning outcome. A curriculum framework bridges the gap between overall curriculum goals and the use of technology for learning and teaching. Technology standards should inform and support the curriculum framework. In this way, technology use becomes part of the learning objective itself rather than simply a means of achieving it.